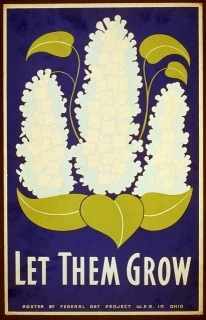 Image Credit: Stanley Thomas Clough, "Let Them Grow", 1939. Looking for something about climate change or current event related? 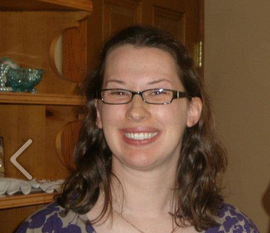 Try CQ Researcher or Issues and Controversies to get background information. A Dictionary of Plant Sciences. 2nd ed. Facts on File Dictionary of Botany. database includes many images, as well as plant info by classification, geography, type, and other categories. Marshall Cavendish Illustrated Encyclopedia of Plants and Earth Sciences. Plant Identification Terminology: an Illustrated Glossary. 2nd ed. Elsevier's Dictionary of Plant Names and Their Origins. Plant Species and Management Plan for College of DuPage's Marshes and Woodlands. Plants of the Chicago Region. Use the COD Library catalog to find books & videos. Search using multiple search terms where possible. Limit your results by material type (book, video), date, or language. Check out our botany models. This database covers botany in a wide range of sources, including popular and scholarly articles. Find current events and academic research. Academic OneFile also covers popular and scholarly topics in botany. Don't see what you're looking for here? Try the full list of science databases. As with any resource, be sure to evaluate websites that you find on your own. Check out the list of recommended websites below. Fine images of many types of cells, explanations of cell structure, and animations of cell division phases. Information and links to websites about food and medicinal plants discovered in the wild. Authoritative taxonomic information for plants, animals, fungi and microbes of North America and the world. Includes accepted and non-accepted names, taxonomic hierarchy for kingdom to species, and links to Google images and other web resources. The PLANTS Database provides standardized information about the vascular plants, mosses, liverworts, hornworts, and lichens of the U.S. and territories Includes names, distribution, characteristics, images, plant links, crop information, and fact sheets. Images and plants from over 250 families and 1000 genera. Data and images of vascular plants and fungi of the Chicago region developed by the Morton Arboretum, Field Museum of Natural History and Chicago Botanic Garden.